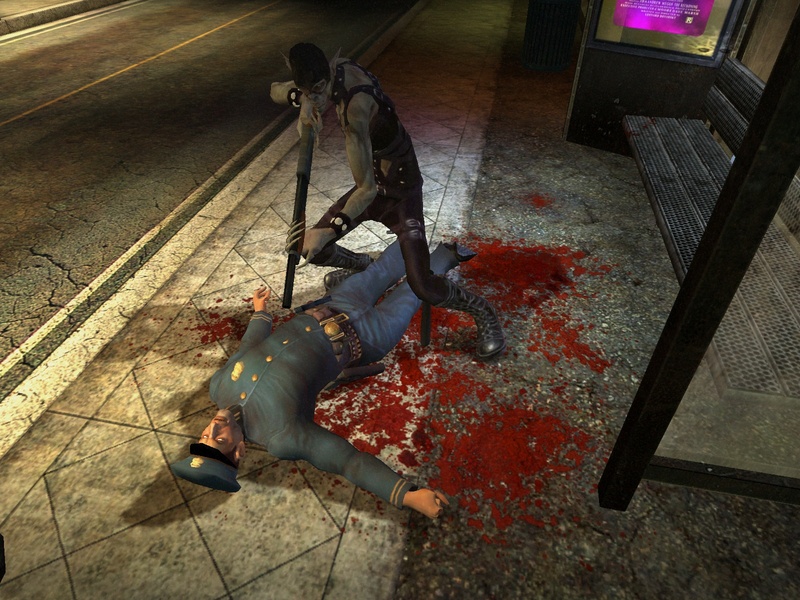 Vampire Bloodlines is by far my favorite RPG of all time, probably because it's a hybrid FPS/RPG. But the setting is darkly funny and engaging in a way that the bog-standard fantasy settings of other RPGs are not (at least to me). That fan patches have taken it and actually made it a game that can be played even now, instead of a buggy pile that would probably have faded from memory by now, just makes me glad that Vampire: Bloodlines came out in the internet era and that fans are willing to do the work to make it a game that lasts. Oh, I may just have to go dig out Arcanum. 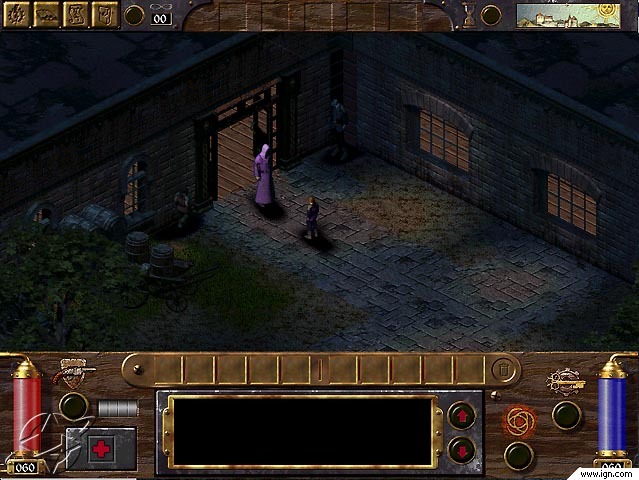 I remember enjoying it around the time I was loving Icewind Dale, but for the life of me, I can't remember what it was about. Oh God. This means I'm going to give Arcanum another try. I bought and sold that game 3 times. Le sigh. It is my favourite CRPG of all time, besides BGII. The setting is fantastic, the writing is funny and engaging, and the amount of choice is brilliant. Looking at the old Troika games makes me sad for what CRPGs have become. We've moved away from these big games that give players a lot of options to smaller in scope games that try more to be like hollywood movies than games. I blame Bioware for screwing it all up. You're my new favorite person! I second this motion. I feel about VTM Bloodlines the same way that other people feel about Deus Ex. It's that good...better, in my opinion, once patched. Another Fan-Patch that makes a game playable (in multiplayer, that is) is for Titan Quest. The game basically broke the quests when more than one person was playing until you applied the fan patch. I know I've made it much further in Bloodlines than I ever have in Deus Ex, even without the fan patch. I really should give it another go again, patched up. I picked up Bloodlines for $5.00 about 2 years ago in a direct2drive sale. I really should install it and give it a go. This will be the year as I'm working through my pile, as long as LoL doesn't stop me. So apart from reminiscing on the games of a defunct developer, what *is* the legacy of Troika? I can only say I've played all the way through one of their games (Bloodlines), but I can't say I see any aspects of it in games since, and a quick look on mobygames shows that many of the developers haven't gone onto better things. Played through Vampire twice. Between the excellent setting details and the in-depth paths that you can take, its about as impressive as it gets for RPG style gaming on a computer. If for nothing else, everyone really should experience this game for the haunted hotel, the malkavian's lair, and the tzimise's house are all just so very... impressive with the impact that the scenes convey upon the person playing. And those are just my favorites, but there were certainly others. Add that to the endings you get and that just makes this game A+ and one of my all time favs. Might start reloading it soon and patching it back up. I think it's pretty much just their games and the passionate community they left behind. Troika's designs leaned heavily on what came before, they just gave it a unique spin. I guess you could say they're the end of the line for isometric RPGs and part of the lineage that grew from games like Deus Ex. The haunted hotel is one of the very few frightening game levels I have ever played. Damnit! You're going to make me load up Bloodlines again! I have Pile games to finish people, sheesh! In addition to the patches there are a huge number of mods for Vampire including lots of side missions, expanded plot missions, reskins and a humanity system that actually has some impact on the player. You'll find most of these in the Camarilla Edition. Edge of the seat stuff. Amnesia: The Dark Descent does a very good job at creating a frightening atmosphere too. Doing as they asked, lights off and headset on make the game pretty anxiety filled, especially with how your vision in the game goes out of focus when you're in complete darkness for a moment and then you can see just slight outlines. Makes you a little scared that you're going to have a bad monster outline waiting for you. If I had more time, I'd play through Vampire again and dedicate a game diary to it. Such an amazing, varied experience with some fascinating branching paths. There was a time when Warren Spector was thinking out loud about doing a game that did nothing but render one city street in excruciating detail and have the entire game revolve around it. Vampire actually came close, even though the area was a bit bigger and not quite so detailed as all that. Vampire was laid out almost like a movie. You kind of moved from scene to scene and everything else was there mostly for the perceptive need for the player to visualize distance (and to occasionally feed and resupply). I think as far as modeling Spector's 'street' you're pretty apt with your description of the game; it does model the World of Darkness quite nicely and in a very tabletop RPG feel to it, where those games tend to jump from place to place without the interconnectivity of real-time play-it-out travel. On another note, I even particularly liked how absolutely different my two characters, a gangrel and a toreador, played out. I think it was the first time a video game scared me in a non-monster-closet way. The hotel remains a brilliant horror level. The build up around it's past, how it was under renovation and the builders abandoned it, and your progress through the level discovering the story of what went on. A little like The Shalebridge Cradle level from Thief 3. Damnit, the Deus Ex Rule is in full effect here. Definitely going to have to run back through Arcanum and VtM:B. I never got around to Temple of Elemental Evil, so I may have to give that a spin, too. But when? I had to play through that level on a sunny Saturday afternoon. Vampire is an incredibly good game, all patched up. Be warned, however, that it is very, very difficult, and you will want to be building your character for combat. The docs and backstory make it sound like you want to focus on melee weapons, but this is not the case... develop your firearms skill to a high level and the late game becomes enormously easier. Sword and claws are useful early, but don't over-specialize. Don't play Malkavian the first time through; it would be endlessly confusing. (Malkavians, you see, are all as mad as the Hatter). However, once you've completed it once, replaying as Malkavian is like experiencing the game all over again. In their madness, they see more than others, and expose interesting subplots and character details you have no clue about as a normal character. But without having played through it normally, you'd have a hard time figuring out what was going on. Thanks for the great post - and the ongoing topic of the week. 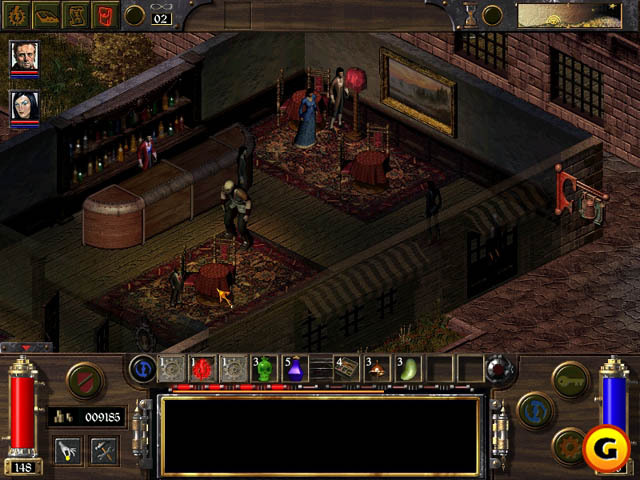 I didn't know about the unofficial patch for Arcanum, I just installed the game not so long ago but have yet to start it. Perfect timing! 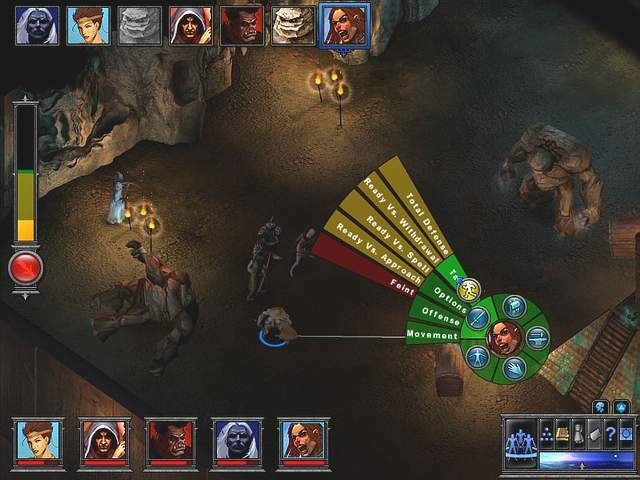 Arcanum is a great game and one of my all-time favorites (just look at my avatar - Half-Ogre FTW!). There is still nothing like it, nothing that comes close even, to the setting. You want consequences in-game? This had them all over the place. TOEE was a re-telling of the first module I ever played in D&D; it holds a special place in my heart. Of the three games, it is probably the least fun though, because for this game (with apologies to Mr. Spector) when D&D gets in the way of fun, D&D wins. It is perhaps too literal in its interpretation of the 3.5 rule-set without an human DM to file off the edges a bit here and there. Put Vampire on my Steam wishlist at least. With the current backlog I can't justify full price to put it on the pile, but it does sound intriguing. 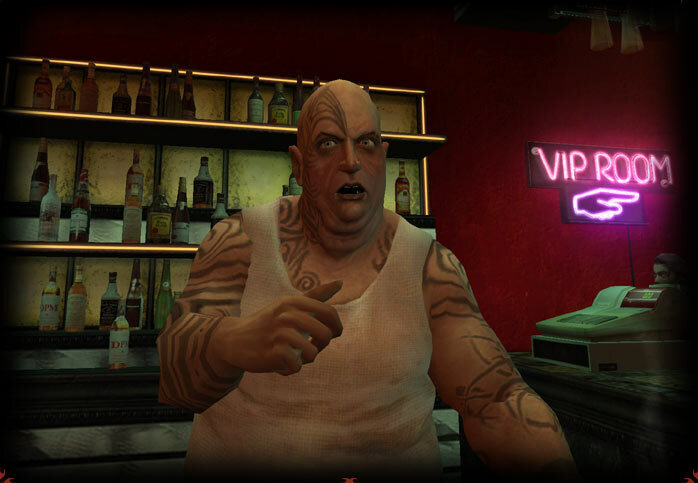 I have only ever played Bloodlines as a Malkavian. I knew it was all crazy and whatnot, but that is what the little gypsy wagon sequence picked out for me and I decided to go with it. The game isn't impossible to understand; indeed, after a while your dialog starts to make sense. Also, um, what exactly is ToEE? 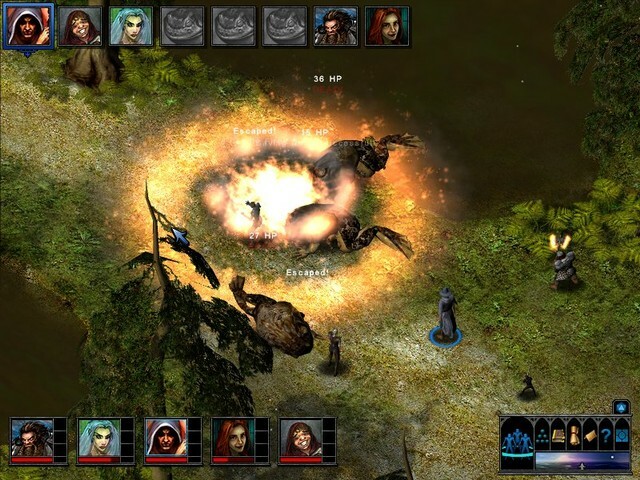 Is it a traditional RPG with branching dialog and subquests and looting and selling and all that (a Baldur's Gate-ish affair), or is it more of a dungeon crawler a la Icewind Dale? Definitely a dungeon crawler with light story. I don't really like the fantasy, vampire, dungeon, or goth type settings. I really liked Fallout 1 and Fallout 2. Should I try Arcanum? edit: oh well, I bought it. Luckily the little PnP I've done was Vampire the Masquerade and we'd always played the game with a focus on firearms so that came naturally. Very true though, despite the fantasy elements it's a modern setting and modern tools make the game easier.